VASS IS COMING TO LONDON!!!! So get prepared as it is something quite novel and exciting at the same time. 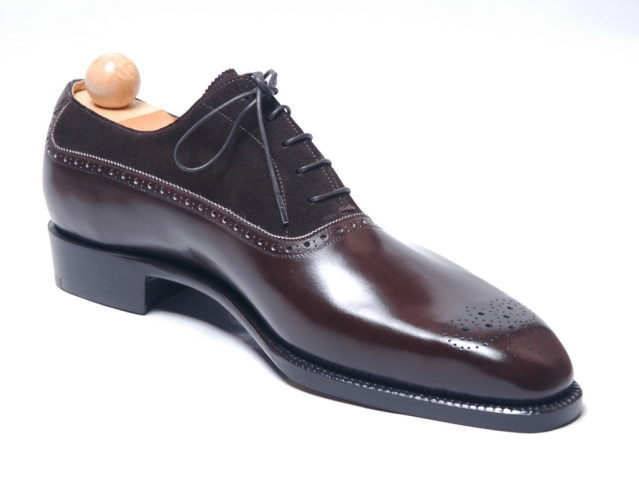 I have always loved Vass shoes for their mix of elegance and substantial like nature. the boot above ( as well as the pics below) are a great example of that. It is a one night event, full of not only shoes and men’s clothing/accessories but drinks and food galore. Don’t miss out if you have ever wanted to see VASS in person. And please read carefully. IT IS RSVP ONLY! I feel compelled to start this thread, not as sour grapes, but more to see what other feedback is out there and to both help others avoid what I went through and perhaps for Vass to hear some legitimate feedback that might help them. 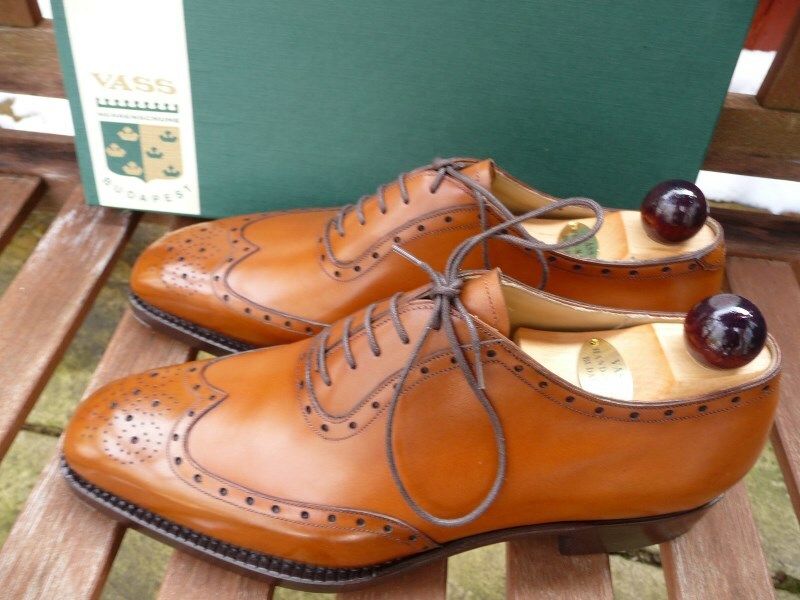 Initially, I was introduced to Vass through the Ascot Shoe Group who post largely Vass, but also some Barker Blacks and the odd pair of John Lobbs or Crocketts on eBay. I could turn this into a very long story, which would likely bore the heck out of most people and probably would not accomplish what I have set out to. 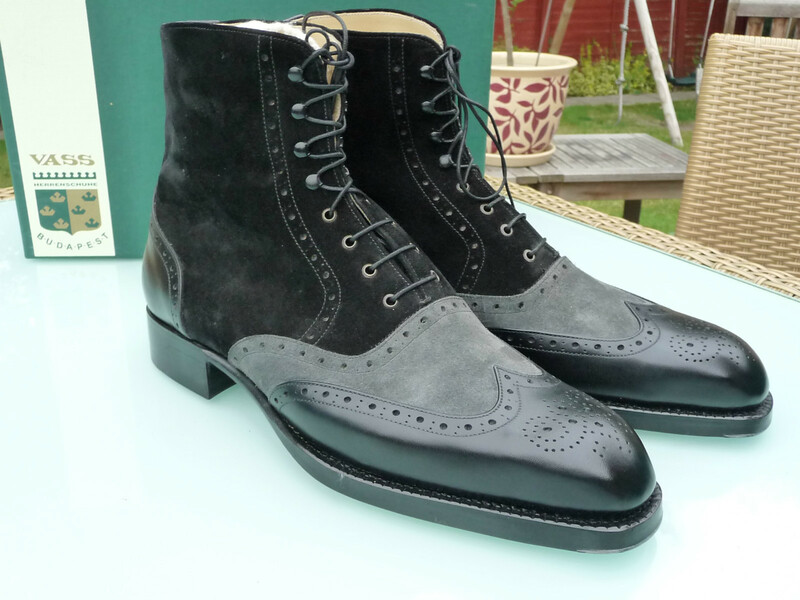 Suffice it to say that I purchased one pair of Vass Boots in person from the owner of Ascot Shoes while I was in London. This pair are great, I have no issues and I continue to wear them today. However in the meantime, I ordered a pair of MTOs which when they arrived, had a number of issues. The tongues both would not stay remotely centered and in fact slipped immediately all the way down to the left side of my foot on both shoes. The “speed eyelets” were either of not good enough quality or had not been smoothed enough that they literally cut through a pair of laces everytime I wore them. And the backside of those same speedlace grommets were not seated flush with the leather so they scratched both tongues (which were scotchgrain) badly (I will post pictures). 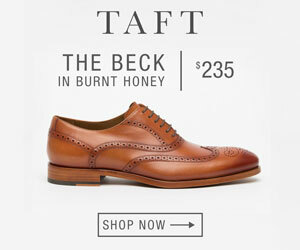 I contacted Ascot and was told I shouldnt have worn them and I couldve gotten a full refund, but of course I had only worn them a half a dozen times, but would and could not have discovered the issues without wearing them. 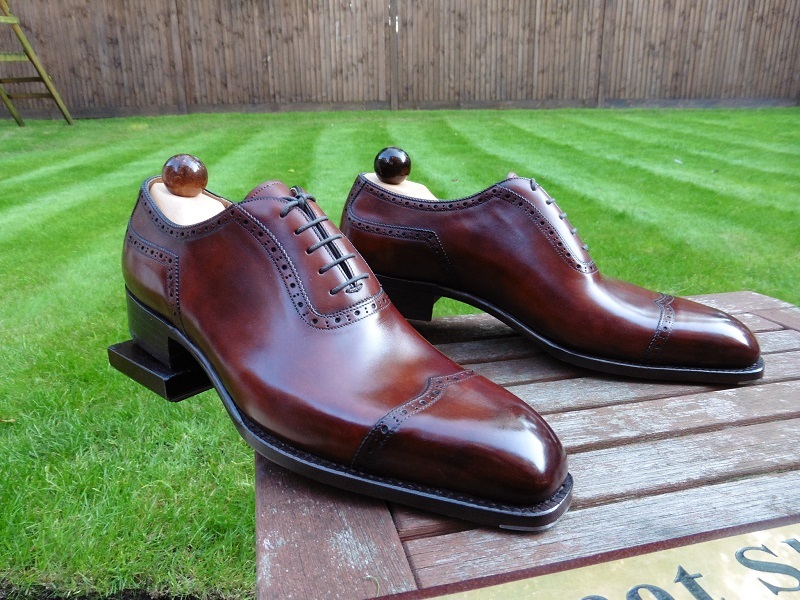 Ultimately after much back and forth, Ascot and Vass agreed to remake the boots in time for the middle of September. 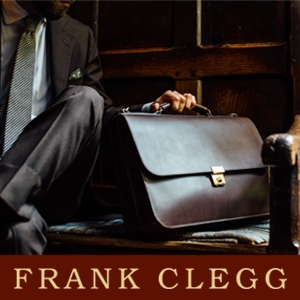 I had gone over all of the issues with Reszo, the manager of Vass and Karl, the owner of Ascot. I was hopeful as I very much like the designs and Karl has a super eye for style. Unfortunately, when I received the boots, they were worse than the first pair. 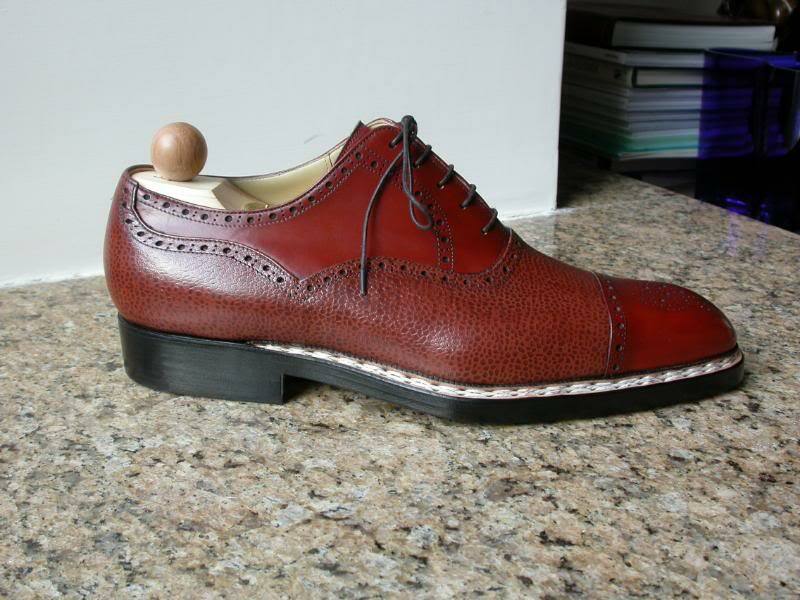 The holes that are punched along the strip of an oxford or a brogue, many were not punched cleanly through and still had the leather plugs in them, the alignment of these holes and the attention to consistency was beyond poor (visible in the photos I will post below) and the speed grommets which we had decided to forgo for plain laceholes, were done without metal eyelets at all (not what was agreed to or ordered). I contacted Ascot and Karl and returned the boots immediately. 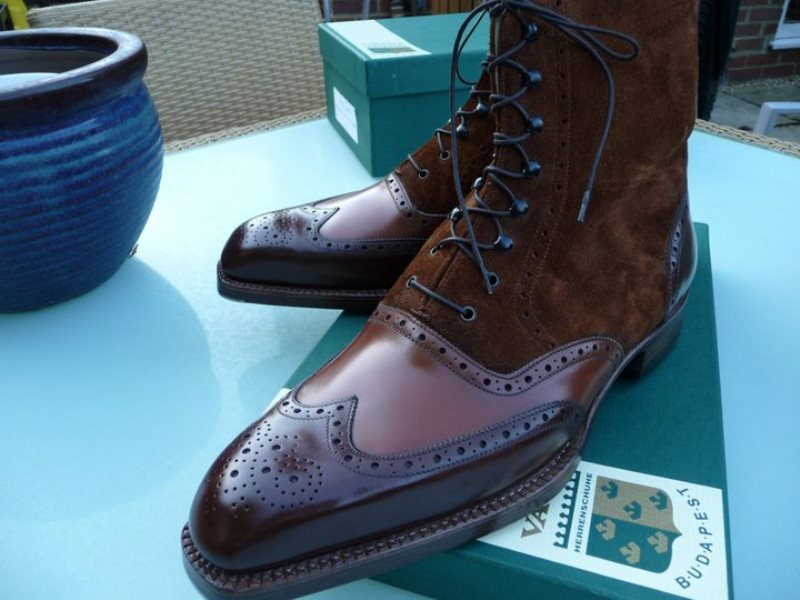 During the waiting period for the boots, I had purchase a pair of shoes from Ascot that were my size and ready made. Within several weeks of wearing them perhaps 4-5 times, the bottom of the two stitch lines around the top of the heel had separated right at the middle on both pairs. 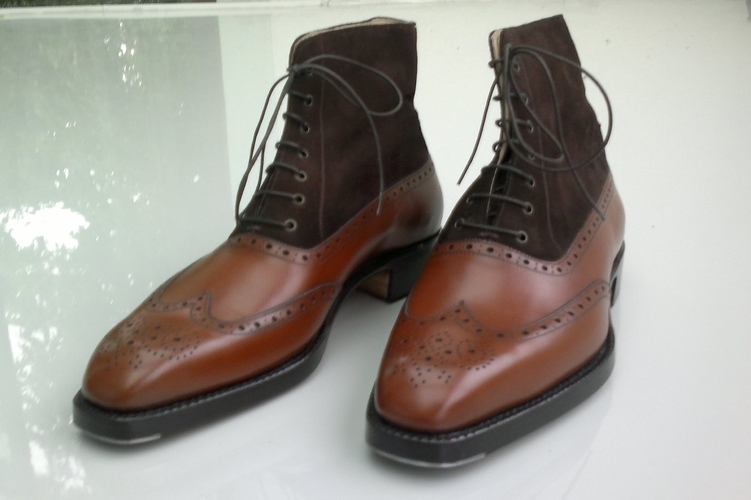 Karl told me to send these back with the first boots which I did and they would be repaired. They were returned to me with ABSOLUTELY nothing done except the ends of the threads were melted so they wouldn’t come undone anymore. I accepted a “goodwill” discount to keep the shoes and am currently wearing them today. 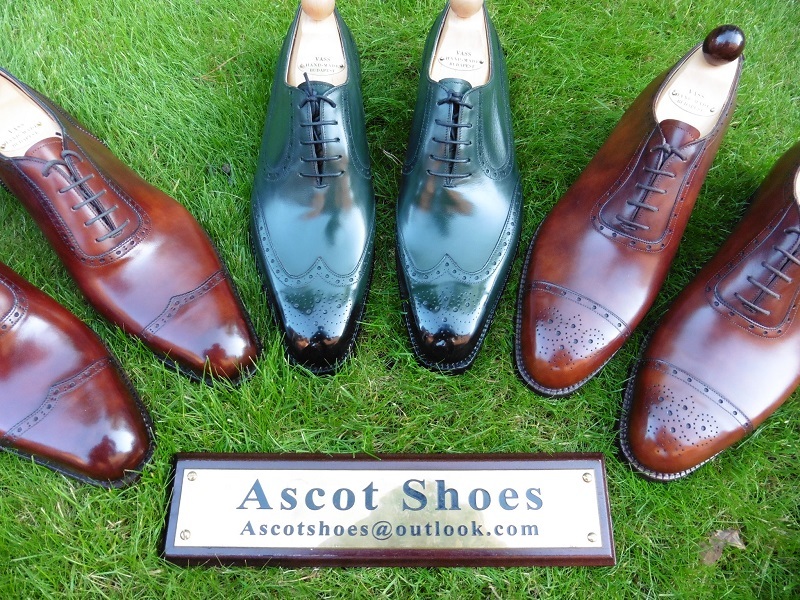 During this 6 or so month period, I have spoken to a number of people who carry Vass (I will keep their names anonymous) as well as looked online for comments regarding both Vass and Ascot shoes. 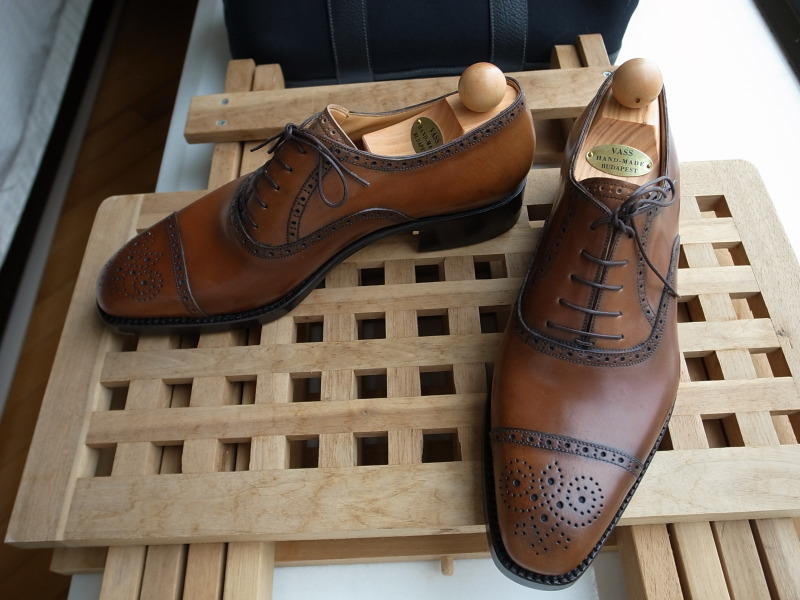 I have also spent some time reading blogs, visiting shoe stores in London and New York and looking at images online. What I have come up with, is that there is a general consensus that the quality control at Vass is lacking in terms of the details Ive mentioned above. 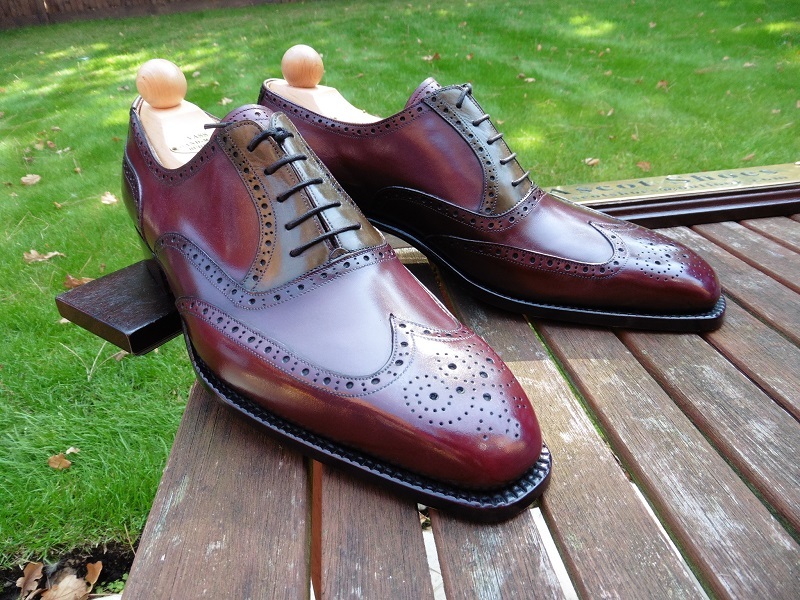 Now whether Vass is trying to make too many shoes, or what, I dont have the answer to that. 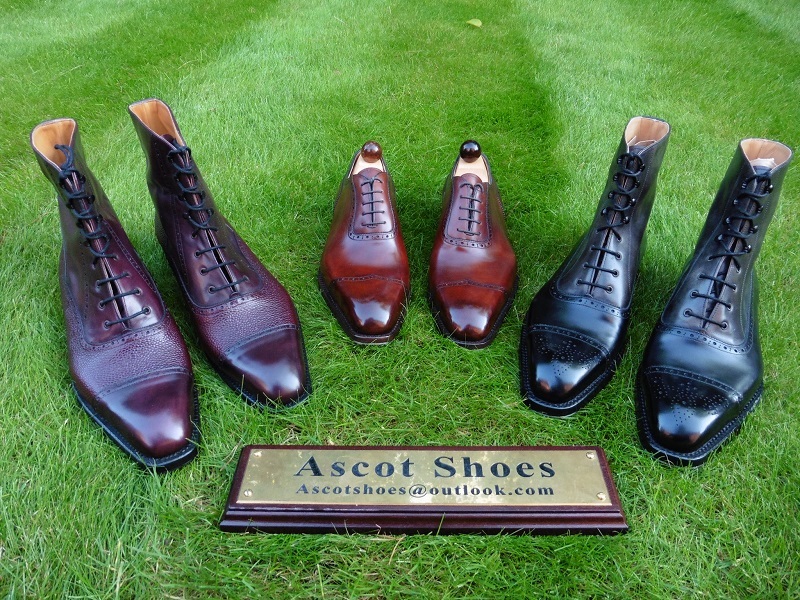 What I can tell you and it is even visible in the pictures posted by Ascot and Vass, is that in the details of the stitching and the hole punching, etc, there is not the evenness and attention to detail that there should be in shoes MTO at this level. 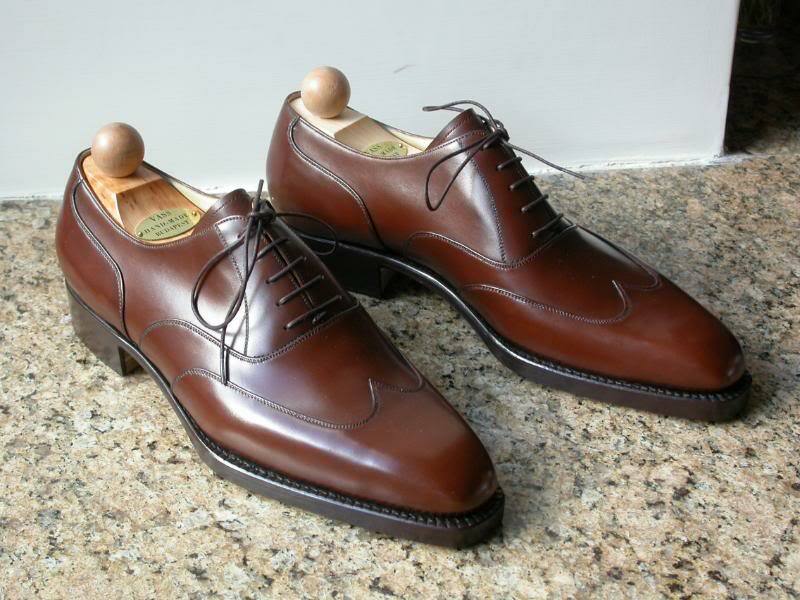 I’d be interested to hear of experiences from others as well as hoping that improvements can be made because I truly believe that Karl has a terrific eye for design and that Vass can obviously make shoes and good ones at that, but at the moment there are significant issues that need addressing. Shame I won’t be able to join Justin as I can only say good things about Vass and Ascot! 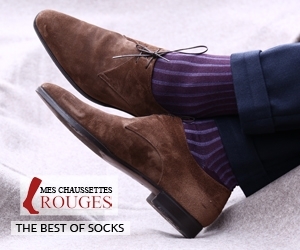 I also own several of the pairs in the photographs above and I must say I really enjoy wearing them. Hope oyu have a great time next week ! Thank you Justin, great blog btw. 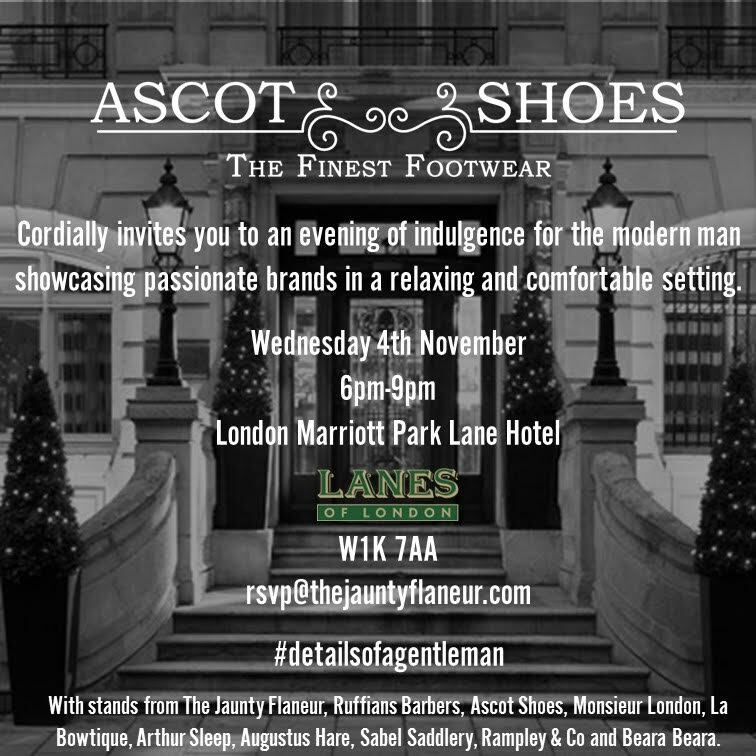 Just sent an email to: rsvp@thejauntyflaneur.com – Look forward to meeting the guys at Ascot and Vass in person. 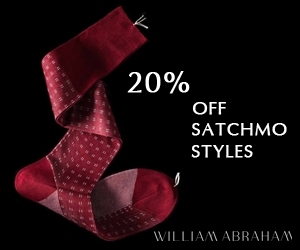 Heard lots of great things about them for hand made shoes. Never experienced a pair of MTO’s, this would be my first pair. Richard Smith. 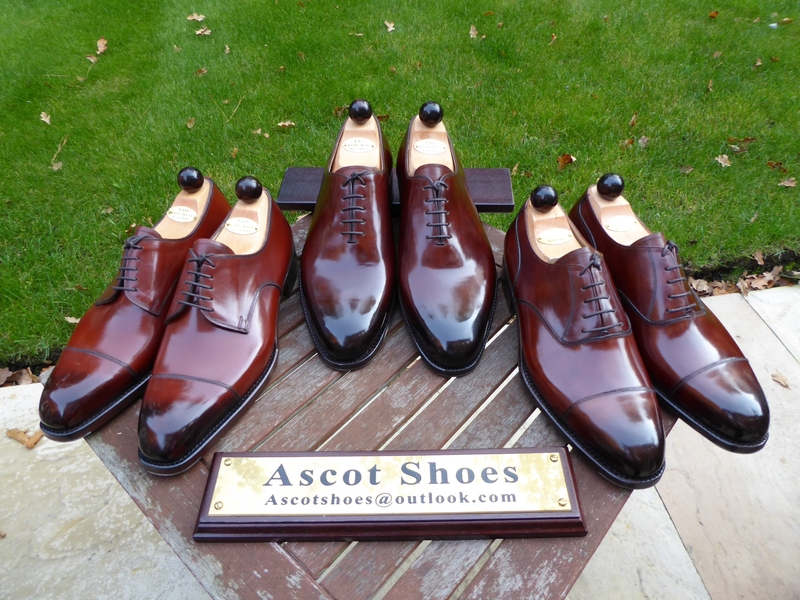 Bought some Lobbs and EG’s from Ascot 3 years ago, and good to hear they are finally doing a Vass Trunk in London. Would you know the prices for the MTO’s and RTW’s on display? And will there be a range of Last on display?